This gym has a large circular mat and 3 arches that provide easy access to baby. It has a motorized mobile unit overhead with lights and music. All of the toys in the gym can be attached to this unit. However, in package, the toy that will be attached to the unit is a plastic rhino and his two soft bird friends. Mom can choose between 3 modes: Music only; music & lights; and music, lights & motion. These choices will play for up to 20 minutes. The gym also comes with 8 repositionable toys: 1. The rhino & soft birdies mobile; 2. large, plush elephant tummy-time wedge with peek-a-boo ear; 3. alligator mirror; 4. koala with clackers; 5. hippo with rattle beads; and 6 – 8. three linking gorilla teethers. 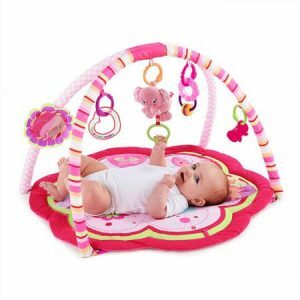 The Bright Start Pretty In Pink Play Gym, Sweet Safari is the perfect play area for any little princess. 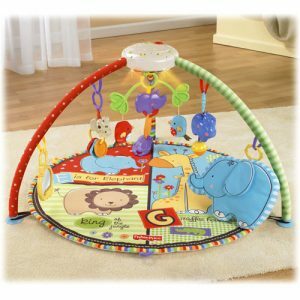 This roomy Bright Starts Safari Activity Gym has a sweet girly design and fun toys on a soft, comfy mat that your little one is sure to enjoy. Included is a colorful flower-shaped bead chaser, an adorable flower-shaped mirror, a butterfly-shaped teether, a heart-shaped rattle and an elephant plush toy that features pull activation with four melodies to help improve your baby’s motor skills. The Bright Starts Safari Gym also grows with your baby, featuring three fun ways to play: laying, tummy time and sitting. Add extra toys to the Bright Starts Safari Activity Gym with the four included fun links. The Bright Start Pretty In Pink Play Gym, Sweet Safari has a machine-washable play mat and is recommended for babies from birth and up. A portion of the proceeds of the Bright Starts Safari Gym go to support breast cancer research and awareness. It’s a safari of self-discovery! 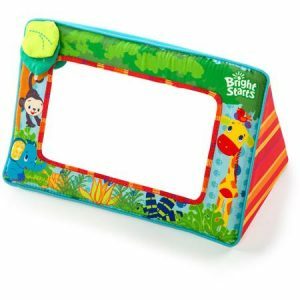 The Bright Starts Sit and See Safari Floor Mirror is perfect for tummy time or any time. 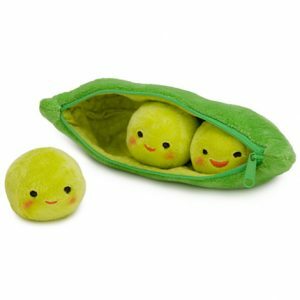 This large baby-safe mirror features soft, colorful fabric, crinkle leaves and cheerful characters. It folds flat for easy storage. Bright Starts — Fun Comes First! 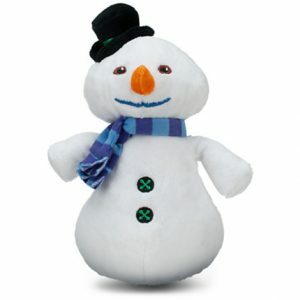 Your little snow angel will help Chilly’s worries vanish when they hold this snowman plush close. 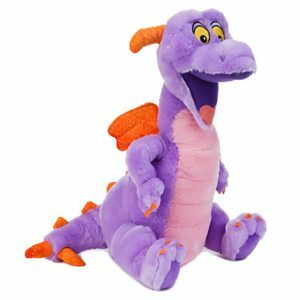 This lovable softy is part of the Doc McStuffins plush collection! 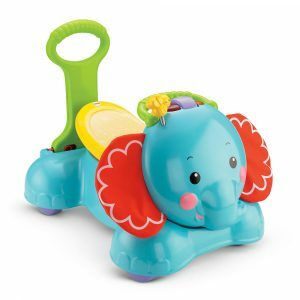 Your little one can enjoy hours of fun with the Fisher-Price 3-in-1 Bounce, Stride & Ride Elephant, which features a friendly design with large, soft ears and three fun ways to play and learn. 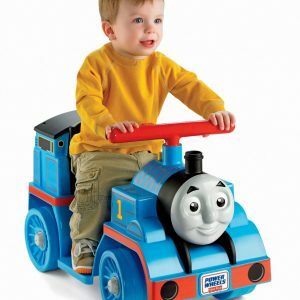 Sit & Bounce, Stand & Walk and Scoot & Ride options promote gross motor skill development, and a wobbly-action bumblebee, a bat-at rollerball with rattle bead sounds and colorful light-up buttons help encourage fine motor skill development. 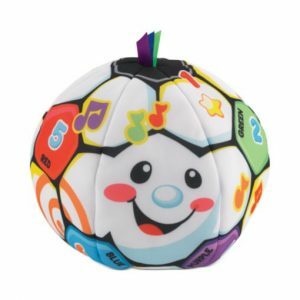 This ride-on toy plays 30+ fun songs, sounds and phrases that your child can enjoy, and it is easy to convert for your baby. 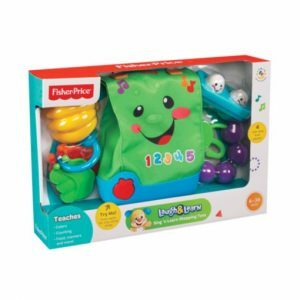 It’s a tote-ally fun way to learn about counting, colors, food, manners and more—from Fisher Price! Baby can sort and pretend to grocery shop with four realistic play pieces. Clacker veggies, toggle eggs, grape slider beads and a bunch of bananas keep little hands busy. Pressing the apple button rewards baby with learning sounds and phrases about colors, counting fruit, veggies and recycling! 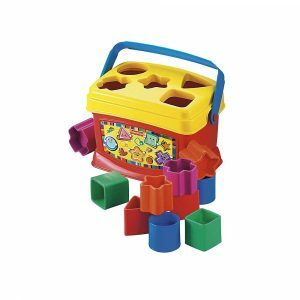 All play pieces store inside to take play time on-the-go. Yippee! 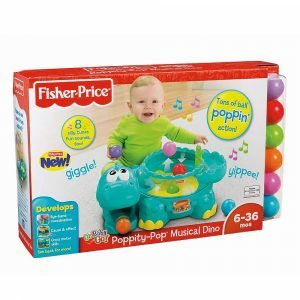 There’s tons of ball-popping action with the Fisher-Price Poppity Pop Musical Dino. Babies and toddlers can place balls in the dino to see them pop up or roll down the chute and out of his mouth. What happens next is always a surprise for your little one. The friendly dino is full of lively music and fun sounds, rewarding your child with each spin of the roller. 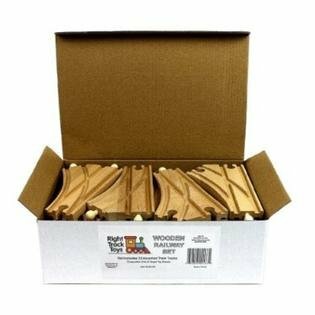 The Musical Dino is an interactive toy that will excite young children and help them develop hand-eye coordination, cause and effect, and gross motor skills. 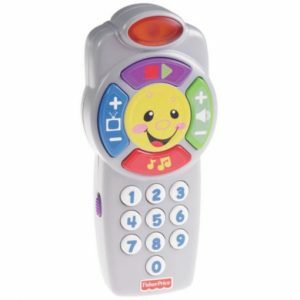 With eight silly tunes and fun sounds built in, it provides rich musical rewards for your babies’ playtime. The Musical Dino includes six colorful balls for put-and-take playful fun.